The official World Poker Tour final table has been set in the WPT Maryland at Live! Casino Main Event. Following a Day 3 that saw 23 players eliminated, just six remain with Tom Reynolds (pictured above) on top. Reynolds bagged a stack of 4.395 million in chips and while he is the chip leader heading into Wednesday’s finale, all eyes are focused squarely on one of his competitors. Art Papazyan (pictured below) bagged 2.92 million in chips for third on the leaderboard and those that follow the World Poker Tour will hear a bell ringing when they say his name. Just on month ago, Papazyan topped a field of 763 entries to win the Season XVI WPT Legends of Poker Main Event to the tune of $668,692. It was Papazyan’s first WPT cash and to win the title he had to defeat a tough final table that included Phil Hellmuth and JC Tran. In the end, Papazyan defeated Hellmuth, the WPT’s new Raw Deal host, to earn the victory. In addition to winning first place at The Bicycle Hotel & Casino on the other side of the country on Southern California, Papazyan scored 1,200 points in the Hublot WPT Player of the Year race. At the time, the result put Papazyan in first place in the Hublot WPT Player of the Year race, but he was kicked back to second after Guo Liang Chen won the WPT Borgata Poker Open Championship recently. Now, thanks to reaching the money in this event, Papazyan is back in first. “The WPT Player of the Year is one of the main reasons why I’m here,” Papazyan told WPT.com back on Day 1a. Just by reaching the final table of the WPT Maryland Main Event, Papazyan has gained another 600 points in the race. If he doesn’t move up any further, Papazyan’s Hublot WPT Player of the Year point total would sit at 1,800. 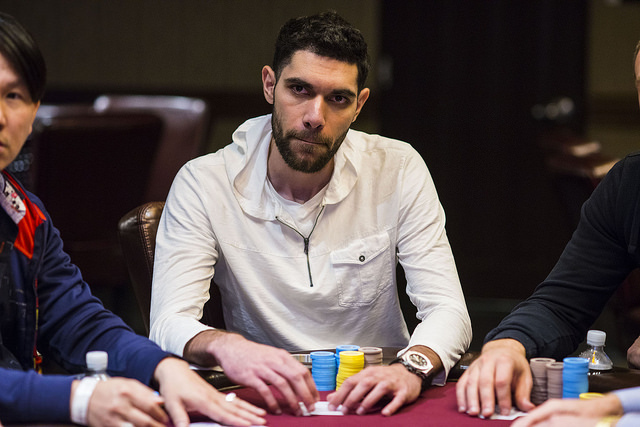 Papazyan was known out in Southern California as a high-stakes cash game player prior to his notoriety of winning the WPT Legends of Poker Title, and it’s something he said can help a player out. Back to Reynolds, who gained the chip lead when he doubled through Randal Heeb during Level 26 with the blinds at 20,000-40,000 with a 5,000 ante. Heeb opened from middle position to 110,000 and Reynolds reraised all in from the small blind for 1.575 million. Heeb called with the , but his nice-looking pair of jacks was in bad shape against the for Reynolds. The board ran out in favor of Reynolds and he doubled to 3.25 million. Now with the chip lead heading into the final day of action, Reynolds will be looking to close the deal and add a World Poker Tour title to his résumé that already includes a WSOP gold bracelet from this past summer. Joining Reynolds and Papazyan at the final table will be Heeb (3.97 million), Grigoriy Shvarts (2.49 million), Timothy Chang (2.01 million), and Zachary Donovan (1.195 million). When Day 3 began, 29 players remained from the field of 561 entries. The field was already deep into the money and Shvarts began the day as chip leader. En route to reaching the final six, notables Ben Morgan (13th), DJ Alexander (20th), Clayton Fletcher (21st), Maryland Live! Casino ambassador Christian Harder (24th), and Ari Engel (27th) all hit the rail. Fletcher’s run was particularly exciting to watch after he won a special social media promotion to earn his seat into this event. A complete freeroll turned into a payday of $16,000 for the stand-up comic from New York City after his play proved to be no joke. As the field moved closer and closer to the final table, many were watching Matt Glantz, who despite his numerous WPT cashes and more than $6.4 million in career live tournament earnings, has never reached an official WPT final table. Down to his last 550,000 with 11 players left, Glantz moved all in after Heeb opened with a raise to 60,000 with the blinds at 15,000-30,000 with a 5,000 ante. Heeb called with pocket tens and Glantz was on the ropes with the . 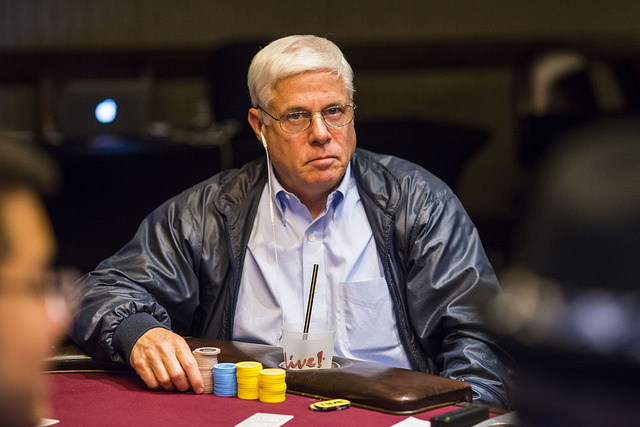 No help came for Glantz, and he was eliminated in 11th place for $28,400. On the final hand of the night, the hand that set the official WPT Maryland final table, Joshua Gordon went out in seventh place. Gordon’s final hand came when he lost a flip holding pocket jacks against the of Heeb. The WPT Maryland Main Event final table will kick off at 1 p.m. ET from Live! Casino in Hanover, Maryland. The remaining competitors are guaranteed a minimum of $76,620, but it’s the prestigious WPT Champions Cup and the $389,405 first-place prize that everyone is truly chasing. As has been the case for this entire event, keep your browser locked right here to WPT.com for continued coverage of the WPT Maryland Main Event. Will it be Art Papazyan winning his second WPT title? Will Reynolds ride out his chip lead to a victory? Or will someone else emerge from the pack to take the win? Tune back in on Wednesday to find out!